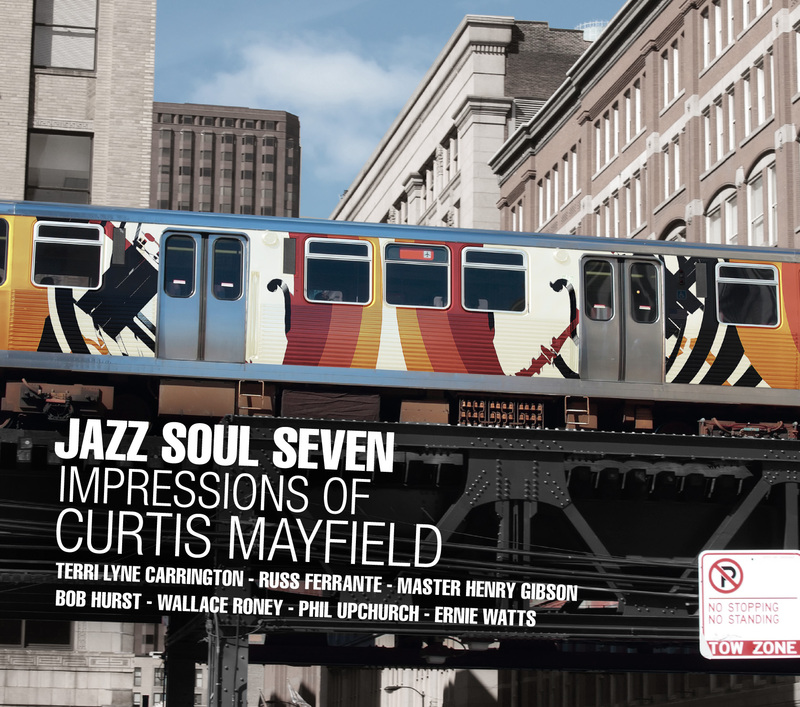 As a subject for tribute and exaltation, Curtis Mayfield is undeniable. And for a tribute steeped in the freedom and complex expressiveness of jazz, the man proved to be an unexpected natural. For this unique album producer Brian Brinkerhoff and musician Phil Upchurch handpicked four Los Angeles- based players and two special imports, all well-known in jazz circles but with the earthy sensibilities to grasp and interpret the gospel and funk of where Curtis was coming from. Curtis Mayfield is a peerless prophet of American popular music – a gentle giant who walked this earth with enough third eye insight and empathy for his fellow man to tower above us all. Instead, he stood among us – an iconic artist with an unwavering sense of purpose that made a conscious choice to remain earthbound and ever accessible. As a musician, Mayfield was an intuitive innovator – a man who unwittingly tuned his guitar to F-sharp which, on the piano, most righteously represents all of the black keys. This had guitarists around the globe fumbling to emulate his golden, silken sound. Then there was Curtis’ voice, a soft, wisdom-filled wonder that slid from a forthright tenor to a shimmering falsetto. Curtis Mayfield’s lyrics remain the undisputed truth: from coffee grounds bitter to maple syrup sweetness. We’re talking intrinsic truth woven into songs so precise and poetic they flowed like genius from the mouth of a newborn - eye- opening, mind-blowing, spirit-healing and hope-infusing... culturally specific yet with the goal of unifying all. Curtis’ words resounded with purpose when they were written yet still ring with ever-relevant urgency today. "the space each instrument is afforded by sympathic production and arrangements allows the brilliance of Curtis's songwriting to shine through." "...this was long overdue. A tribute to one of the greatest soul musicians in history..."